Plans to build a new stadium in Oldham were drawn in early 21st century, but never came to fruition. As the ground lost its northern stand in 2008, capacity fell and caused for increased efforts to improve the situation. 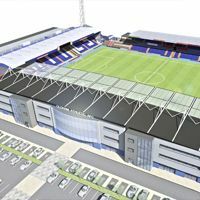 Planning application was submitted by Oldham Athletic in mid-February 2013, envisaging the existing Boundary Park to receive a new northern grandstand, hopefully to be ready in mid-2014. 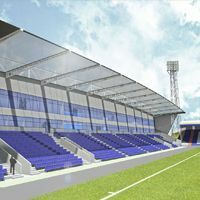 The new stand is the first phase of development planned for Boundary Park and includes spectator seating for just under 2,500 fans, a new supporters bar, a 500-seat conference facility, offices and commercial suite, car park, health and fitness suite and a coffee shop. Debate by Oldham councilors lasted only 10 minutes and following vote gave unanimous support for the project of building a new northern section, Manchester Evening News reports. 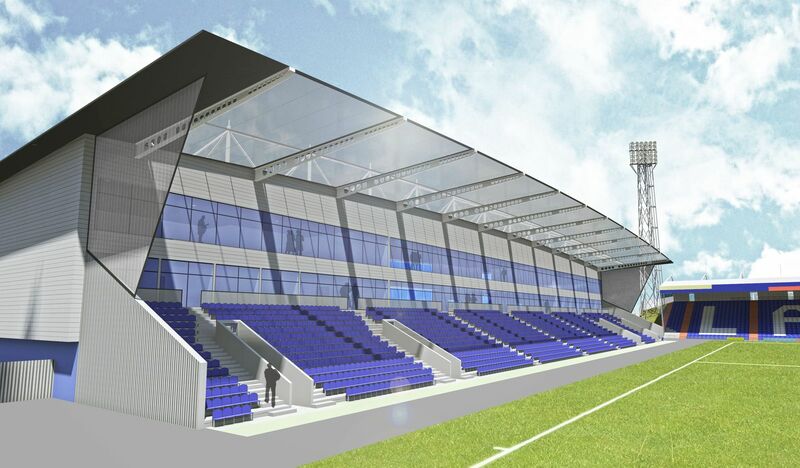 With everything going along plan, the stand may be ready in mid-2014. 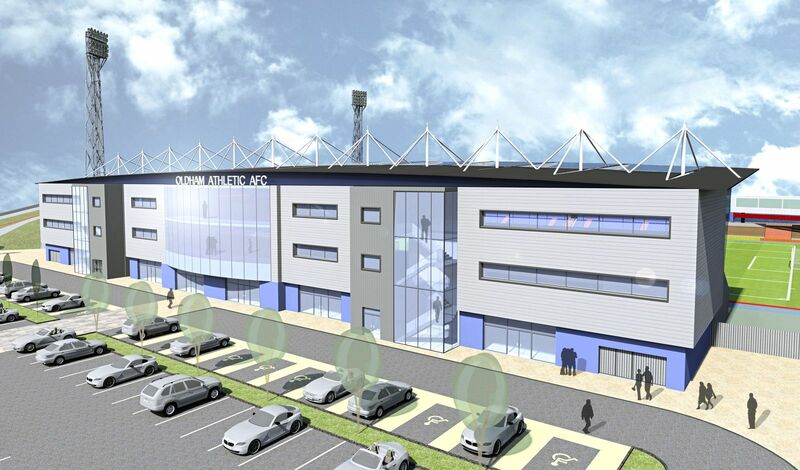 Planning application has been filed last week, giving Latics’ fans new hope for fully enclosed stadium. 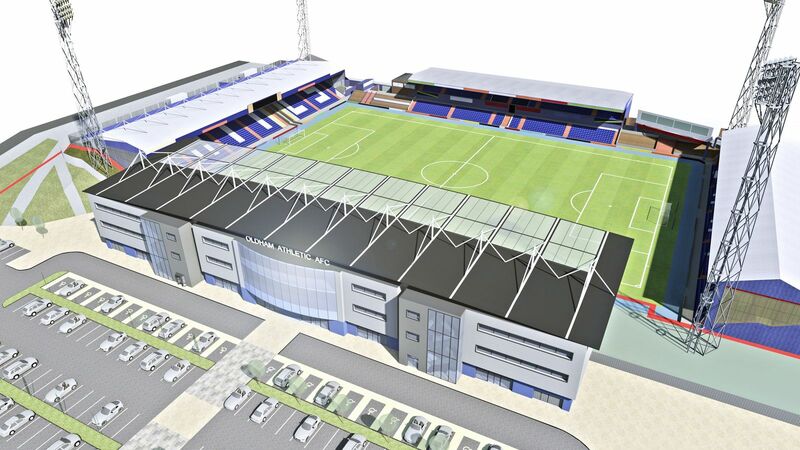 Since 2008 their Boundary Park hasn’t got any stand to the north and plan to change that in mid-2014.